America’s most popular RAM passenger van. Available in seven and nine passenger configurations. A popular choice among van enthusiasts. Sherry low-top passenger vans are also equipped with a 17″ flip down flat panel TV, abundant courtesy lighting throughout cabin and full face leather seating. Feel free to stand up and stretch out out, this van has an interior height of 6’4″! Sherry RAM Passenger Vans have an industry leading interior height of any passenger van on the market. The large interior height transforms your travel experience into an enjoyable experience. Americas most affordable luxury nine passenger van currently on the market. All nine passenger vans are provided with leather seats, 32″ LED-LCD HDTV, premium surround sound and plenty of overhead storage. 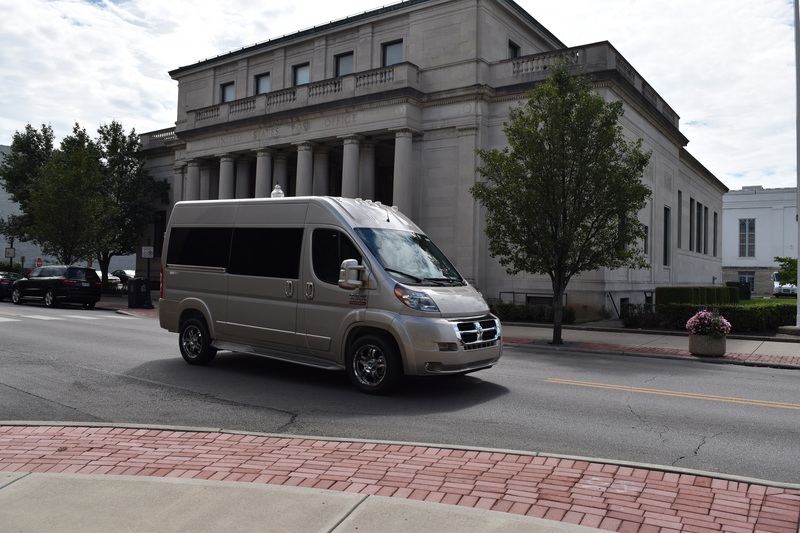 The RAM ProMaster raises the standard of performance for full-sized passenger vans. Sherry Vans models deliver a series of industry firsts, such as: 20+ MPG, front-wheel-drive, 6’4″ interior height and much more. Browse between three RAM ProMaster passenger van models to find which van fits for your needs. Browse colors, safety, warranty, and performance information to see the benefits of a Sherry RAM passenger van. Thanks to a industry exclusive Front-Wheel-Drive system, there’s no driveshaft beneath the body allowing room for a Best-in-Class floor-to-ground step-in height of only 21 inches. Making the interior floor-to-ceiling height 6’4″. Light, nimble and responsive, the front-wheel-drive system allows for impressive handling when navigating crowded city streets, parking garages or snowy roads. With fewer parts to maintain, front-wheel-drive offers more room for interior floor-to-ground step-in height and more interior room than Ford, Chevrolet or GMC. Named to Ward’s Ten Best Engines list three years running, the 3.6L Pentastar V6 engine applies some of the most advanced engine technologies available to deliver power and performance year after year.